At 76 years old, Peter Guber may be one of the most multi-hyphenated figures in US entertainment. He heads the production company Mandalay Entertainment, he co-owns the five-time NBA Champion Golden State Warriors, and he is a regent of the University of California and a professor at the UCLA School of Theater Film and Television. When he finds time, he speaks at several events worldwide. 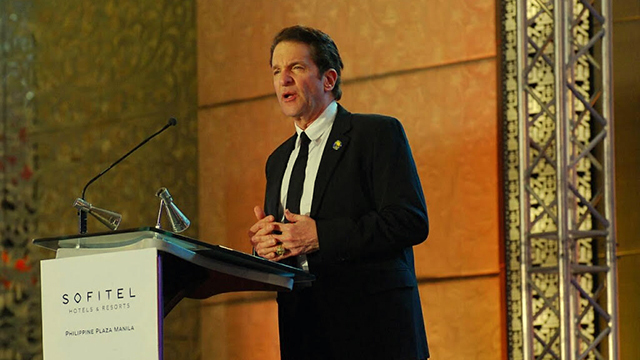 On March 20, Filipino professionals and executives had the rare chance to hear him speak about his passions in the flesh at the ANC Leadership Series held at the Sofitel Philippine Plaza Manila. 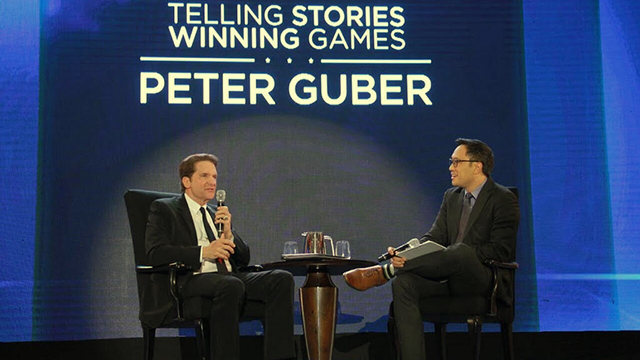 Speaking to around 500 guests, Guber talked about his leadership tenets, his various professions over the years and value of storytelling in every pursuit he takes. One of the main turning points of his life was when he left a high-paying and esteemed position at Columbia Pictures, one of the biggest production companies in Hollywood. He was still in his 20s and knew early on that he wanted to pursuit something on his own. “People aren’t really moved by features, they are moved by benefits to them… Feelings and emotions are critical to shaping those benefits to your audience, to moving them to action by making them powerful because you give emotion transportation to the data facts. Because with data facts alone, it does not work. Even if he is one of the top executives of the Golden State Warriors (GSW), Guber still makes time to check up on key people that make up the team. In one occasion last year, GSW Coach Steve Kerr suffered from a health problem and shared a story to the press how Guber made the time to check up on him personally. “If you’re doing it [talking to people under you] for recognition, then your intention is wrong. It's an undervalued capital in the world today—relationship capital. It’s a crucial capital, to build community within the organization, within people, connection with everybody. It creates an attitude within the organization where many people would do that. You have to lead people by example. Your intention has to be clear. Your authenticity depends upon your intention. The idea of caring about somebody in the organization and looking at them not as an additional device… that’s an important skill. “If you really want to create a successful environment in your company, in your organization…you can’t touch all the people in that company but the people you touch if they buy into the benefit they get [from the company] they pass it along. The idea is you make a culture by doing things right. Culture is the best business plan in any company; the benefit that it’s a place where people are cared for and respected, and admired. That is a very important quality. It’s that attitude that can shape the long-term success of that organization.